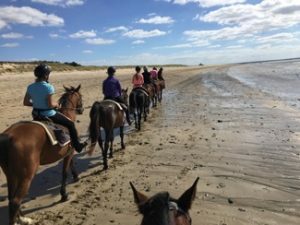 We discover the secret Normandy of the Vikings, first dukes of Normandy, its medieval abbeys, and the deeply moving traces of the Second World War… and visit the heart of the region of the selle français breed horses … fantastic ! Pace: fast – 5 riding days from 4h to 6h per day in the saddle – Mixed breed horses trained for trail rides. 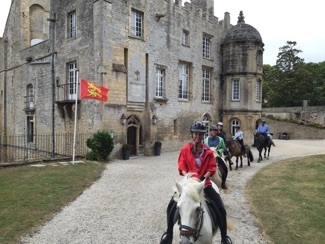 Arrival at chateau de Bellefontaine in Bayeux. 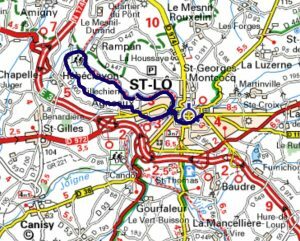 Briefing, dinner and night at chateau de Bellefontaine in Bayeux. 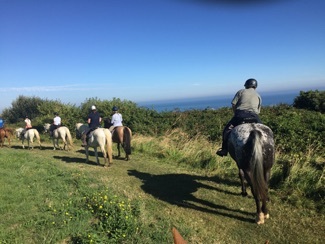 Begining of the ride in the hilly landscape of Normandy. Arrival on horseback in the old city of Creully, visit of médieval chateau de Creully, from where BBC diffused news of Normandy battle in 1944. Visit of XIII e century church st Martin lunch in Creully. 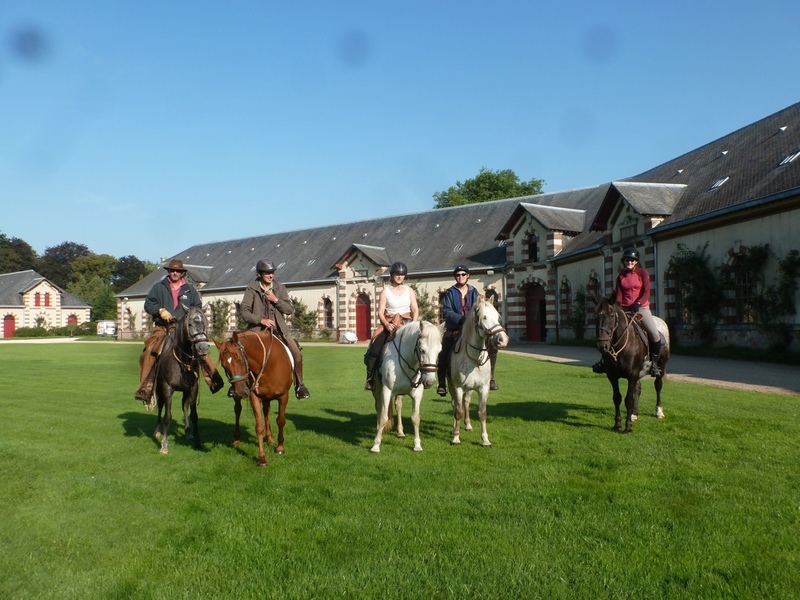 Ride in the Normandy country side and arrival on horseback in medieval and XVIII th century city of Bayeux. Dinner and night at chateau de Bellefontaine in Bayeux. Ride in the country side, spectacular arrival with a panoramic view on Arromanches and his famous Mulberry port – Canter on the beach if possible. Dinner and night at hotel La Marine, with a wonderfull view on the sea. Ride on the cliff and country side. View on the rests of famous battery of second world war. Lunch in Port en Bessin. Ride on the cliff and on the boulversante range of Omaha. Visit of the american military cimetry or Overlord museum. Transfer by car in chateau de la Roque near saint Lo. Dinner and night in chateau de la Roque. 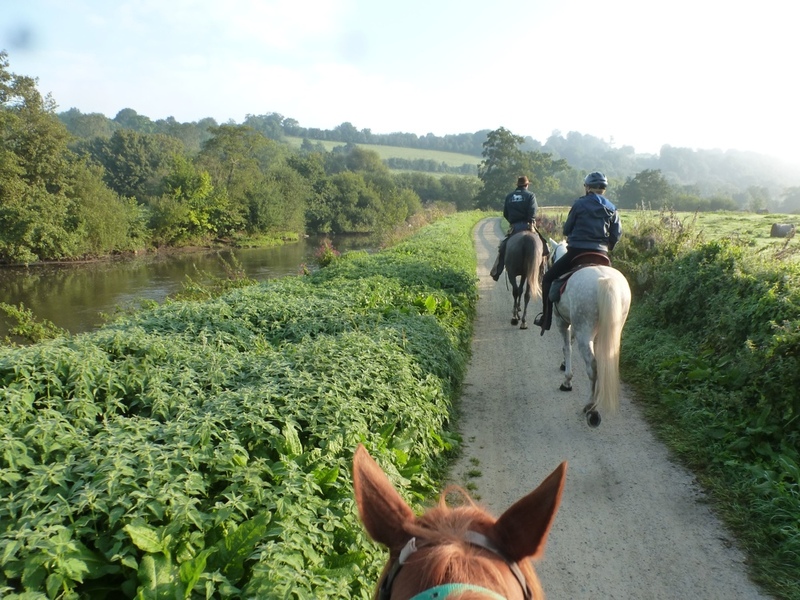 Ride along the river and countryside to Herbecrevon. 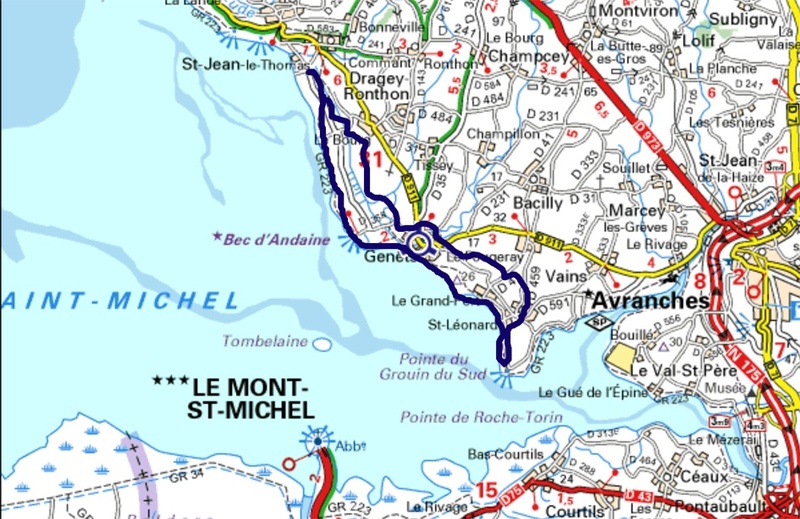 Transfer by car to Manoir du Brion in Mont Saint Michel Bay; Diner in a typical local restaurant. Night in manoir de Brion. Ride in fabulous mont Saint Michel Bay. 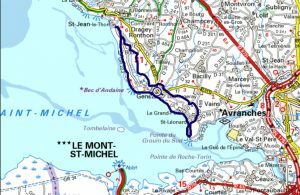 Visit on your own of Mont saint Michel. Transfer (not included) to Avranches or TGV Rennes station.